February is almost upon us, and that means one thing: Valentine’s Day will be right around the corner. 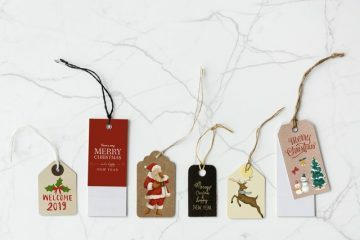 Have you thought of what to give your special someone yet? 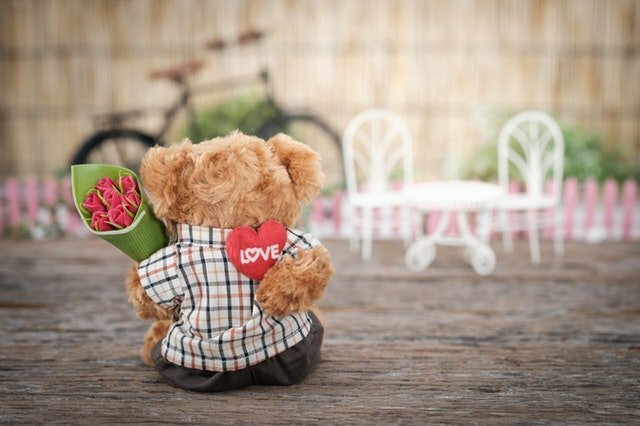 A beautiful bouquet of flowers, with chocolates and a cute plush toy, is a classic Valentine’s gift. That also means everyone and their mother will be buying flower bouquets for their partners and loved ones. And while giving a bouquet is an undeniably charming gesture, not everyone likes flowers. This coming Valentine’s Day, why not give something more personal? Put a spin on the classic bouquet of flowers and give your partner a different kind of bouquet instead. 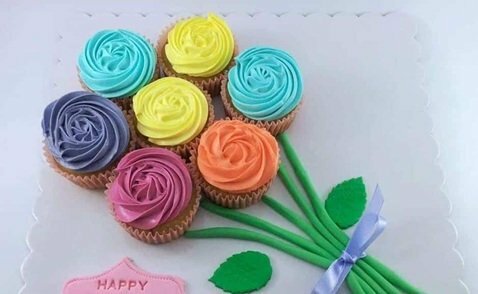 Show your affection for your Valentine’s date with a bouquet of cupcakes, chocolates, candies, or other sugary treats. 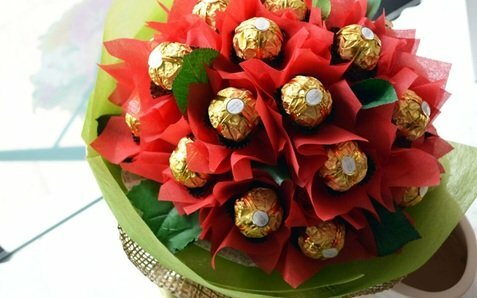 These types of bouquets would suit recipients with a sweet tooth. 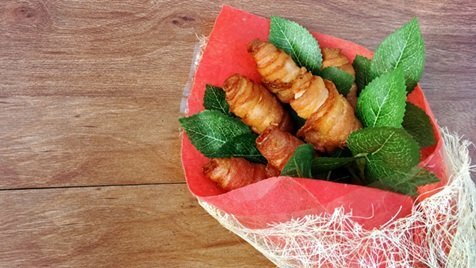 Those who prefer a more traditional Love Day celebration would appreciate this sweet bouquet, as well. 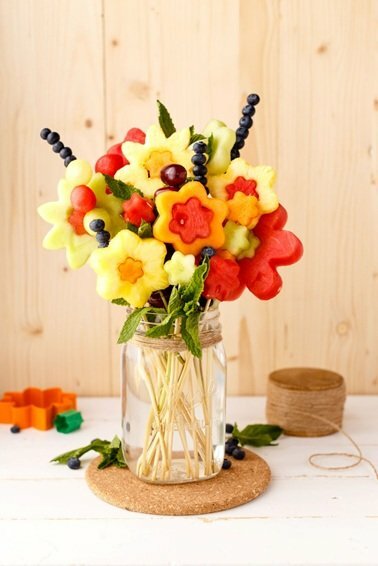 A fresh fruit bouquet is a healthy alternative to sugar-filled candy or cupcake bouquets. 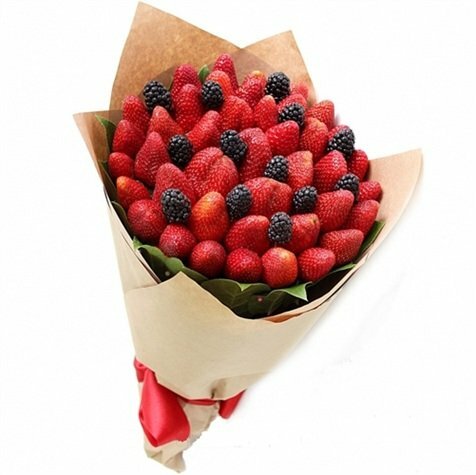 This bouquet option would be perfect for fruit lovers, health buffs, vegans, and vegetarians. Sweets and fruits aren’t the only food items you can arrange into a bouquet. 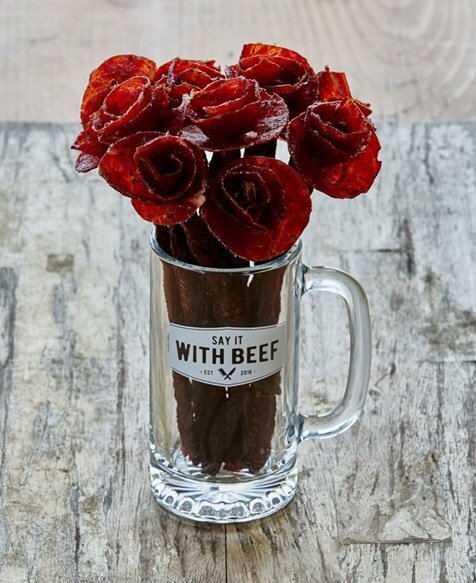 Bacon or jerky roses are one-of-a-kind. Best to make sure your recipient’s mad about meat before putting this together because it looks a little frightful at first sight. 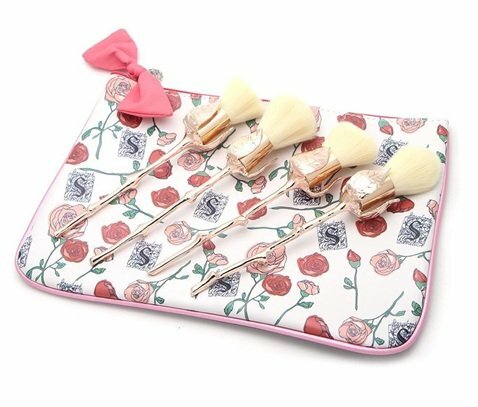 For a significant other who’s interested in makeup, these rose brush makeup brushes are a longer-lasting (and much more useful) alternative to actual roses. 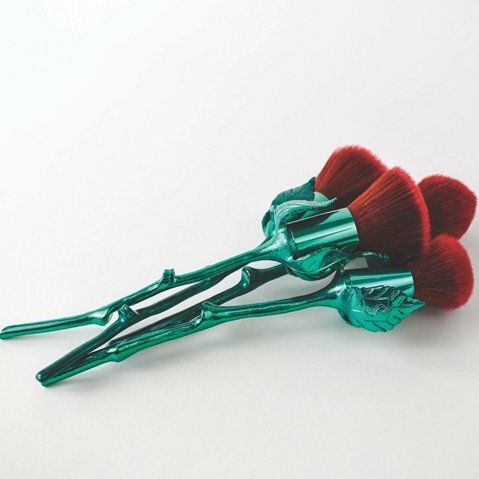 You can also give a bouquet with their favorite cosmetics or those that are on her wish list. 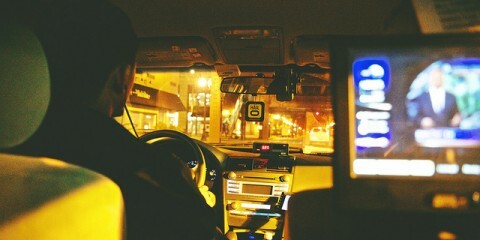 With Valentine’s Day falling on a workday this year, your partner will surely be looking for a night to have fun and de-stress. 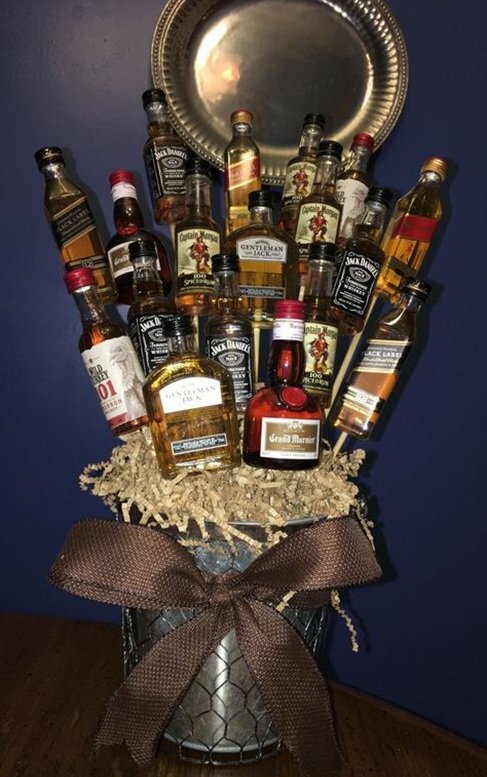 Whether you’re pre-gaming before partying the night away or staying in to Netflix and chill, an alcohol bouquet will fit the occasion. 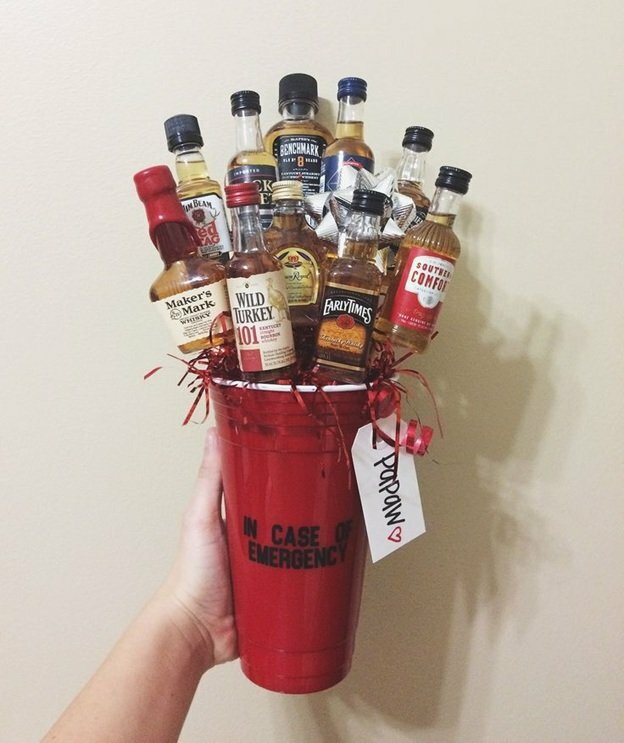 Granted, an alcohol bouquet can look more like an alcohol basket care package, but who’s judging? 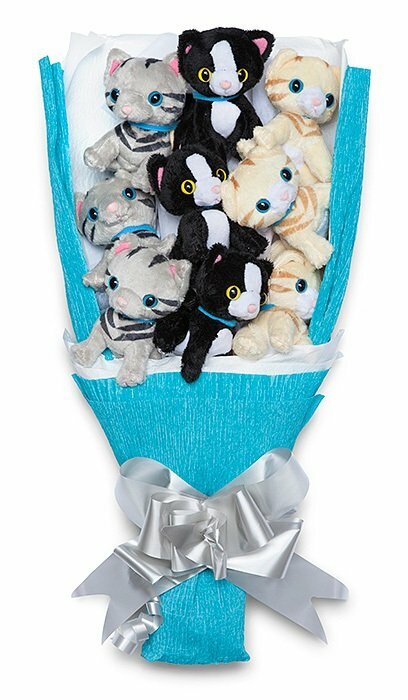 Mini stuffed toy bouquets are cute replacements to the usual floral arrangements. 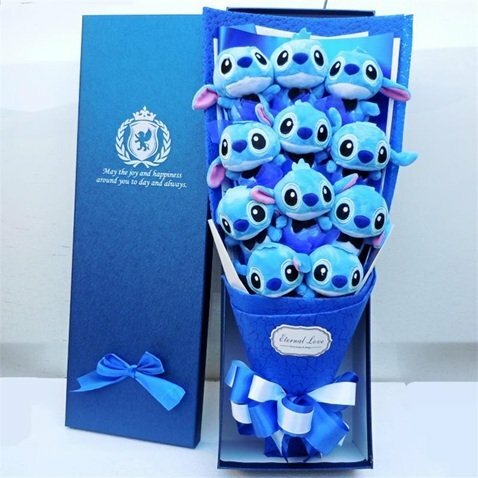 Thanks to the Internet and online shopping, it’s possible to find bouquet arrangements of different plush toys, whether your partner loves unicorns, Stitch, or other cute characters. Giving socks on Valentine’s Day may seem boring, but creative packaging can make all the difference. 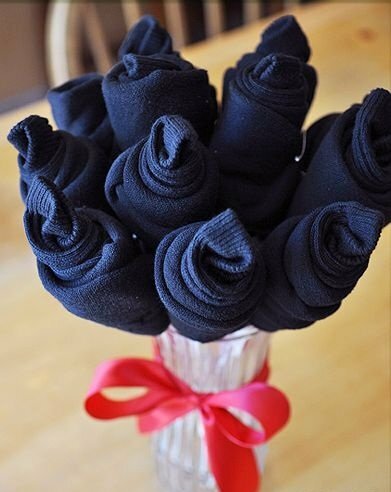 Rolling up the socks to look like roses and artfully arranging the bouquet can get your partner excited over new pairs of socks. Of course, don’t just give them plain socks. 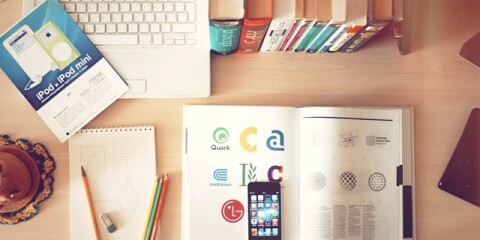 You have a large selection of fun designs and types of socks. We’re not discouraging you from giving your special someone a bouquet of roses, though. 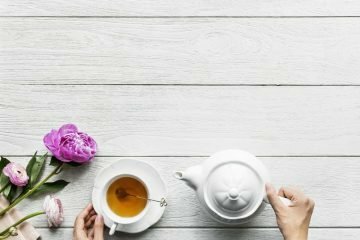 If your partner loves receiving flowers and is into a more traditional Valentine’s celebration — then by all means! Still, there’s no harm in trying to shake things up a bit. 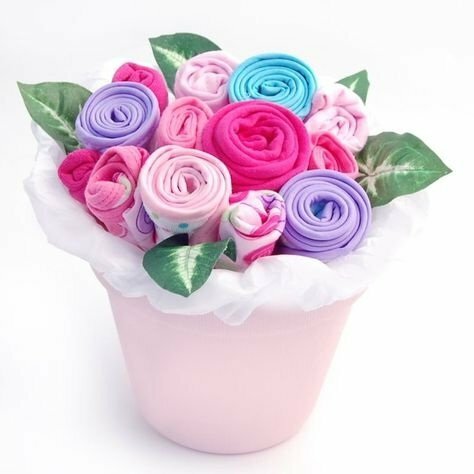 Pre-made bouquets are pretty, yes, but a custom bouquet made using the language of flowers will hold much more meaning. A short but sweet note with what each flower represents will surely make your partner’s heart skip a beat. Whether you give your partner a classic bouquet of roses or a fun and creative bouquet, what matters is you make them smile and feel loved on Valentine’s Day.